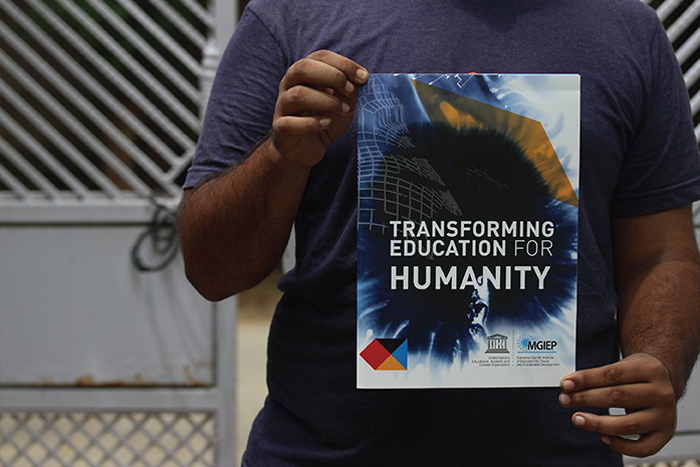 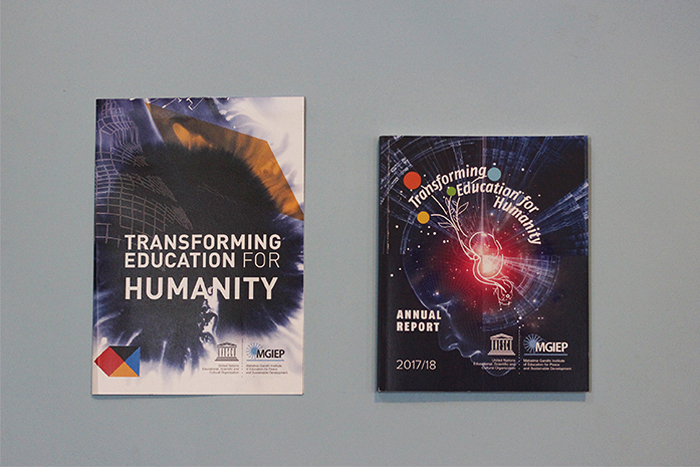 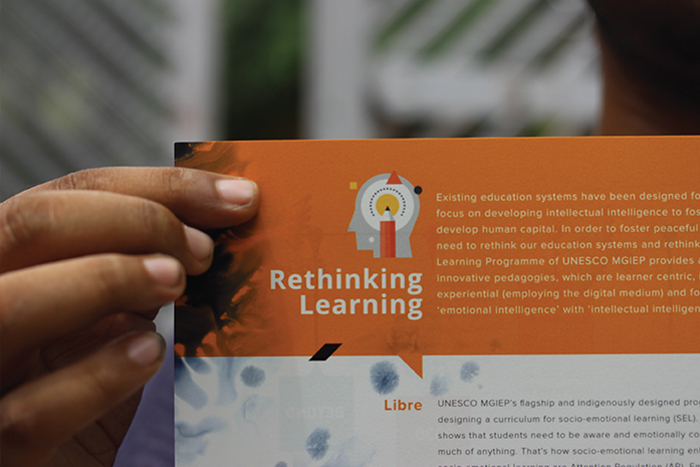 The UNESCO Mahatma Gandhi Institute of Education for Peace and Sustainable Development (MGIEP) is UNESCO’s category 1 Research Institute that focuses on Sustainable Development Goal (SDG) 4.7 towards education for building peaceful and sustainable societies across the world. 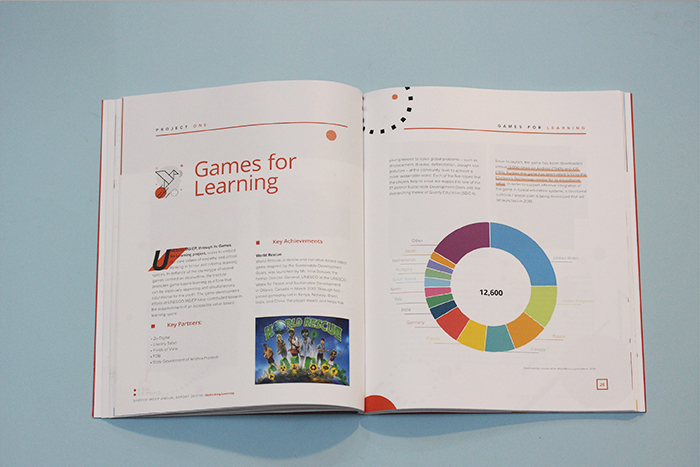 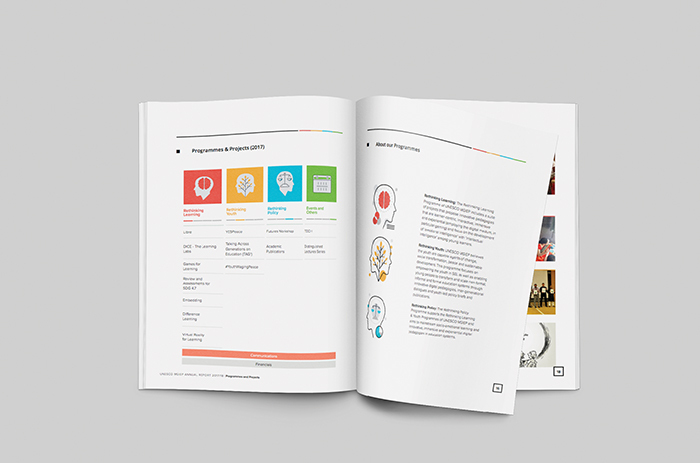 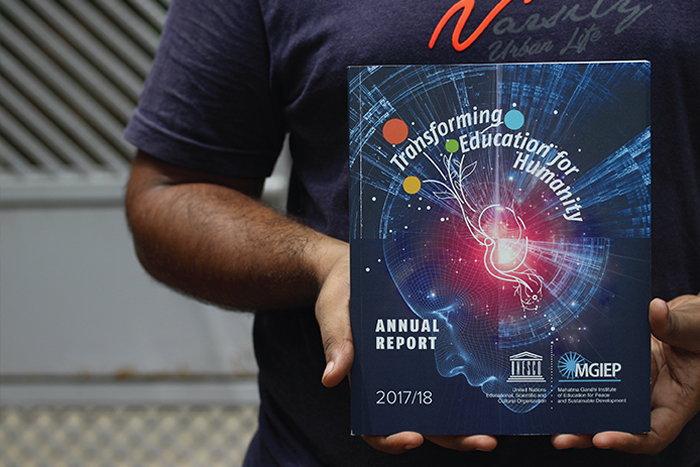 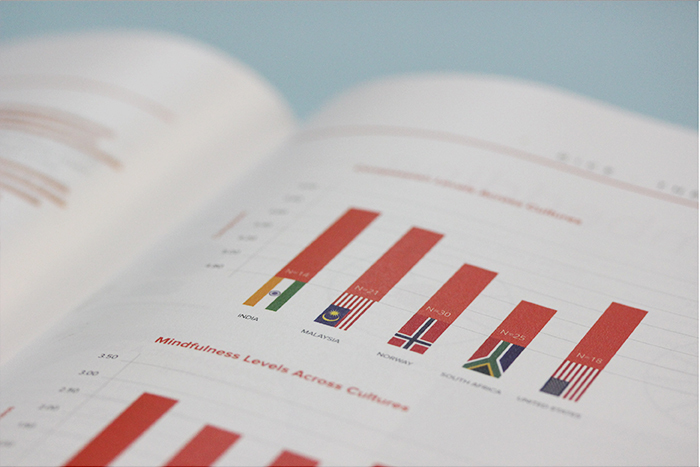 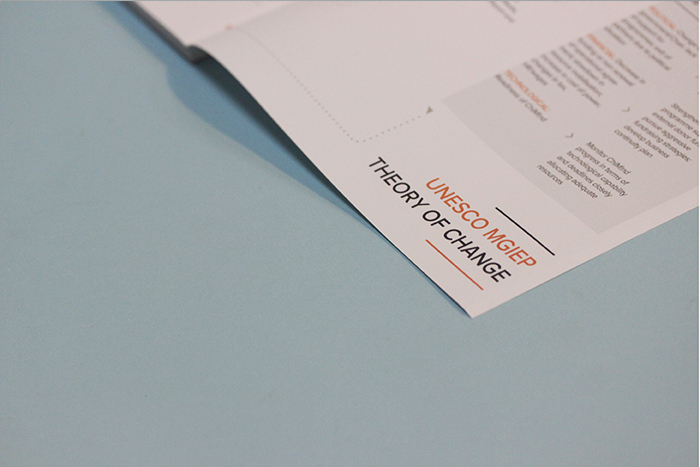 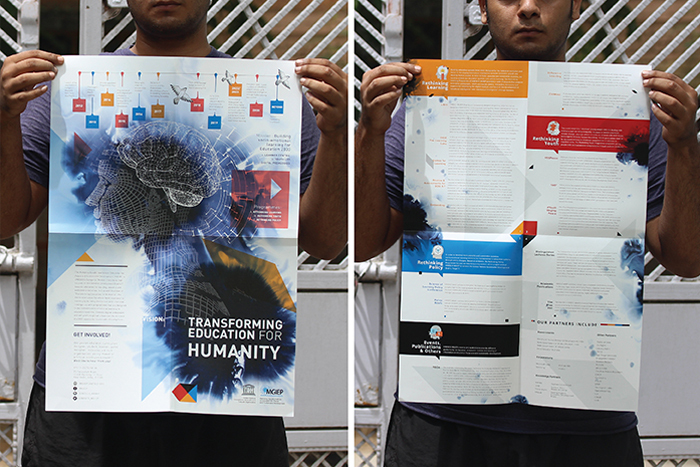 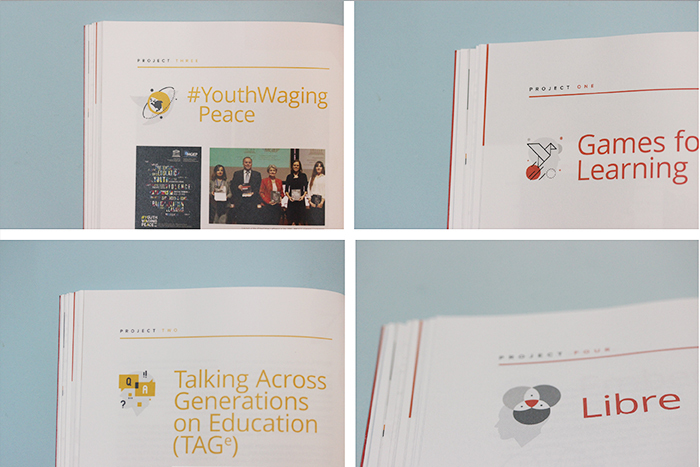 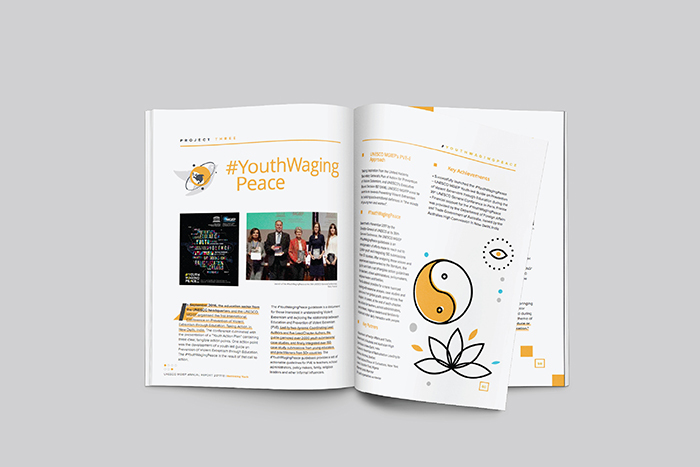 We designed their Annual Report for 2017/18; as well as a Brochure, which serves as a quick introduction to the organization and their work. 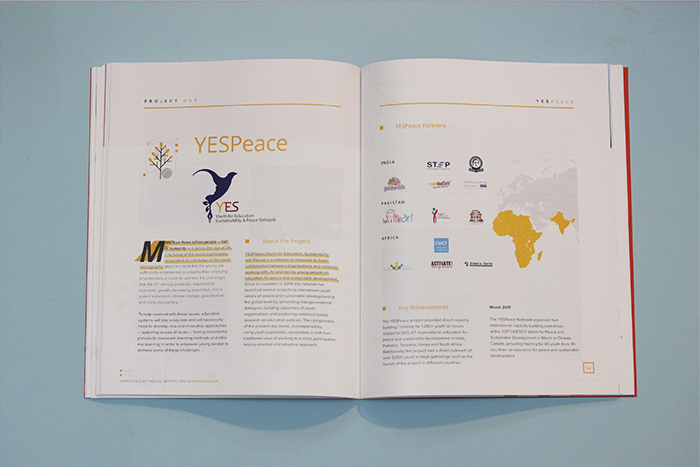 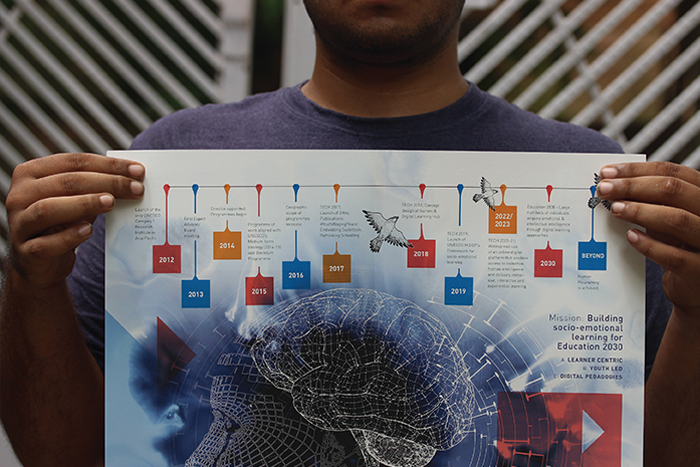 One of the primary objectives in the brief given to us, was to make sure that the content is distributed and comprehensively aided by visuals – both photographic, as well as illustrated. 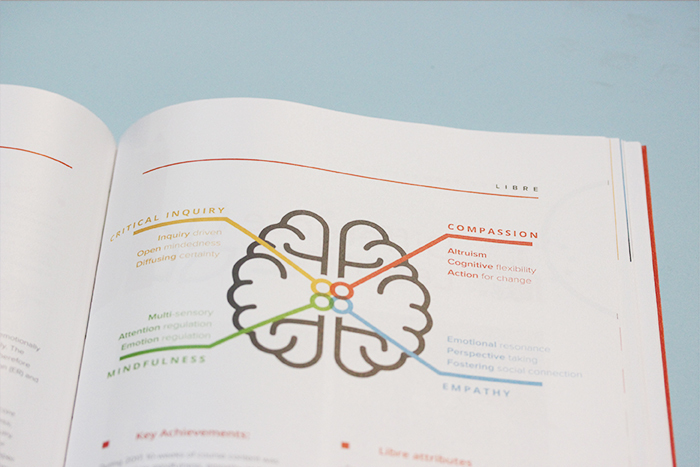 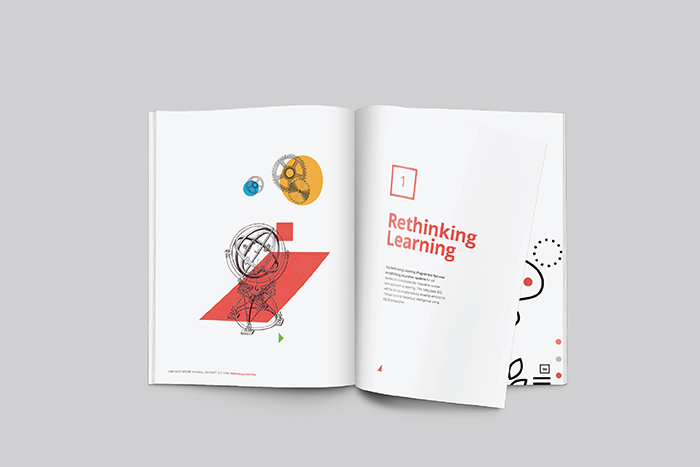 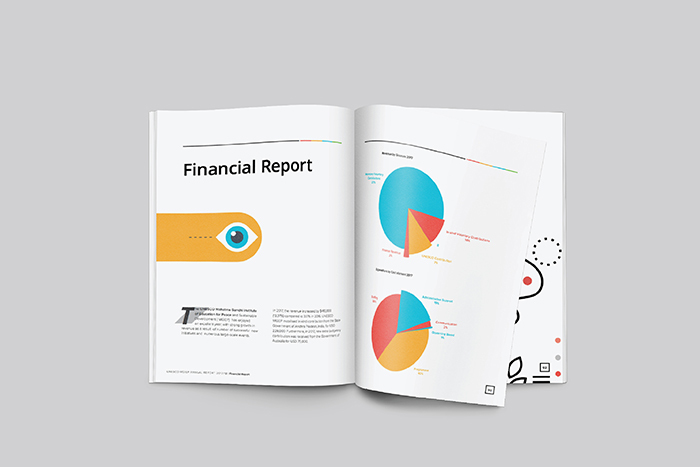 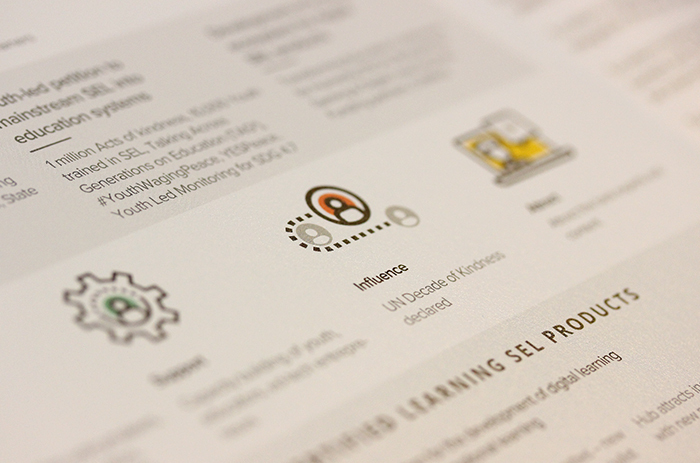 We also made sure the infographics in the document were represented interestingly, while still maintaining their simplicity.For the visuals in the document, we came up with two distinct styles – one for Section Headers, and one to go along with body copy. 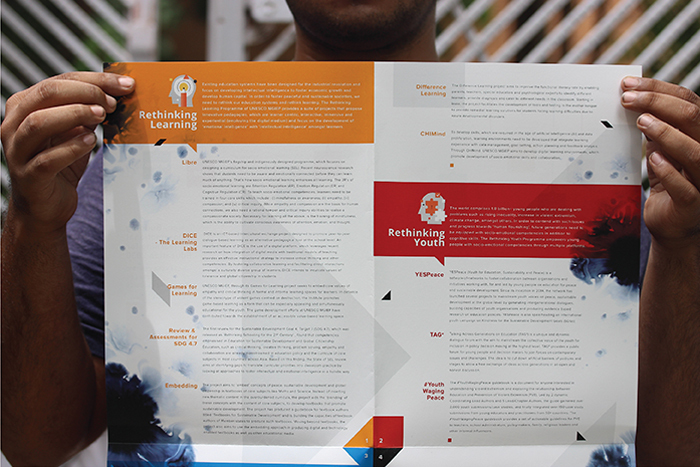 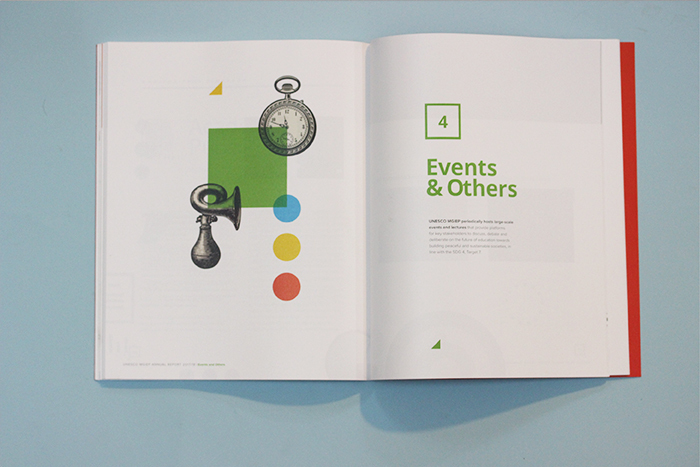 For the Sections Headers, we made various collages using basic shapes construed with objects illustrated in a woodcut style; while for the body copy of the document we made compositions using multiple icons related to the text. 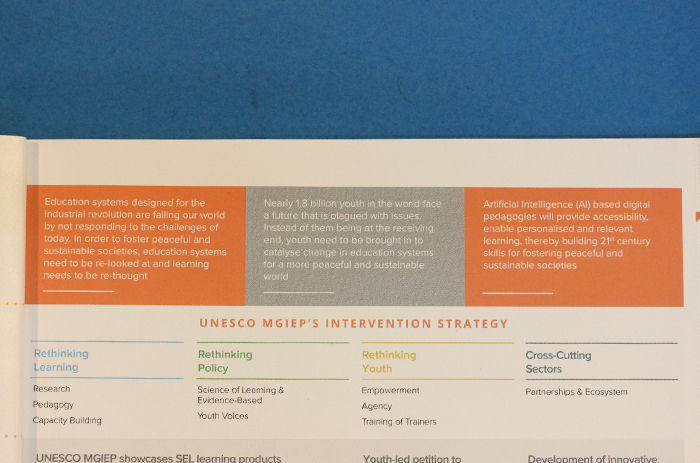 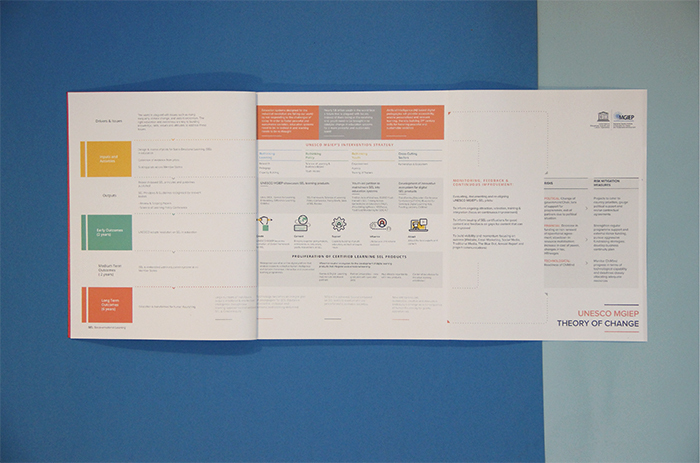 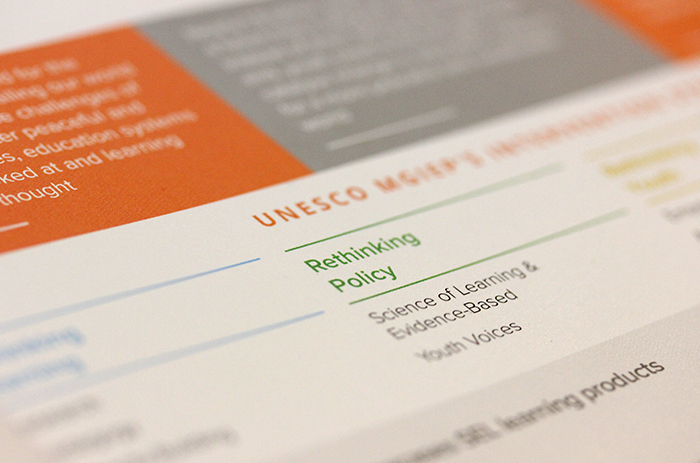 The MGIEP Brochure posed more of a challenge than the Annual Report – we had to fit a very large amount of information on a single sheet of paper while keeping the reader interested, and without compromising on legibility or balance, of course.After a lot of research into different methods to fold a brochure, we settled in on one, and managed to distribute the vast content of the document on either side – keeping the front side with minimal information and an illustration (as we were told to make one side usable as a poster) – while the back contains most of the body copy, as well as a list of partners.The illustration we made for the brochure had to find a balance between being striking and catching one’s attention, while still conveying an insight into the work done by UNESCO MGIEP. 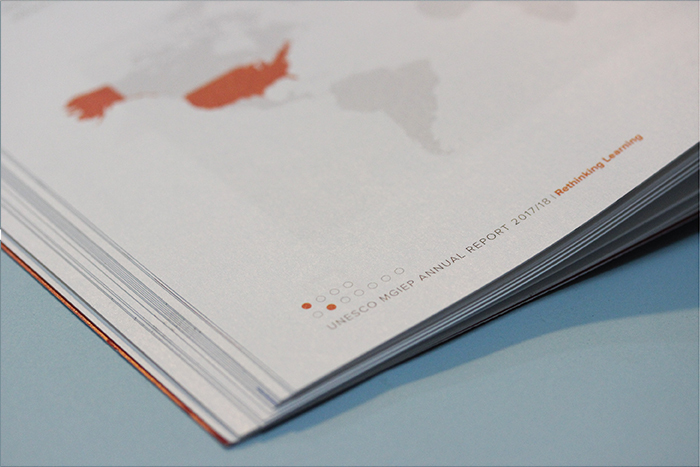 Both the Annual Report, as well as the Brochure were very well received by our client and has been distributed widely by them.